Seen above, the 1910 is for the Richter’s Store, as the building is actually a gold rush building. 1 buggy which would be well suited for a delivery wagon. These are bargains for those that want them. Today is Seward’s Day and the state and local offices are closed to honor the man who fought, and nearly died to acquire the great land of Alaska. During the Civil War, when funds were scarce and Russia, too, was nearly broke from funding their wars, a great real estate deal presented itself. 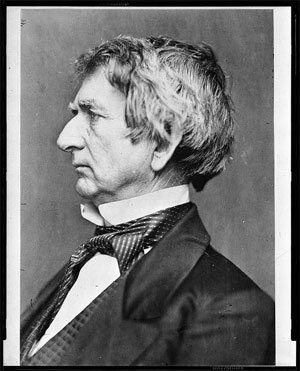 Although the negotiations took years to complete, the man who had the vision was U.S. Secretary of State, Wiliam H. Seward. Working for President Lincoln, he nearly suffered assasination on the same night that Booth shot Lincoln. Another member of the successionist movement pushed his way into Seward’s home, attacking his family and stabbing Seward several times in the face and neck. Miraculously surviving, Seward was not deterred from his task, and in 1867 not only saw the purchase of Alaska, but he also decided to go see the property. In June of 1869, after retiring, Seward began his vacation to Alaska with a railroad trip across the country on the – then barely one-month-old – transcontinental railroad. He saw buffalo and Indian camps and visited Brigham Young in Salt Lake City. He then visited Sacramento and San Francisco. Seward boarded the steamship “Active” as a guest of Ben Holladay (a California businessman) to visit the Chilkats up Lynn Canal. The ship visited Seattle and Victoria B.C. and then arrived in Sitka near the end of July. When they got to Klukwan or the port we now know as Haines, by coincidence, there was a U.S. government survey team also in the area to view a rare total eclipse of the sun. The party had timed its visit with the Chilkats to coincide with the eclipse. The Chilkats referred to tourists as “Boston Men” and assumed that Seward was the “Great Tyee” of the Boston Men. 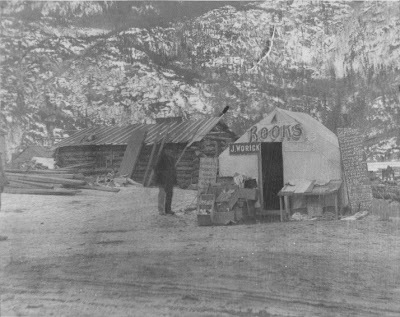 Obviously there had been men from Boston who had visited earlier but they were doing business presumably and were not casual tourists as the Seward party was in 1869. When Seward returned to Washington D.C. he praised Alaska and said it was impossible to exaggerate Alaska’s physical treasures such as its rivers and its wildlife and noted that its untapped mineral and forest resources will make Alaska a “shipyard for the supply of all nations.” How prophetic! I saw this on Ebay and was wondering where one could get such a good deal today! train from San Francisco to Seattle and then cruise to Skagway, then take the train to Carcross with sidetrips to Taku all for $453 for three persons. Clyde Bernal Guptill was born October 31, 1874 in Maine. He was working as a steamship agent in Skagway on October 19, 1911 when he was apparently brutally assaulted and robbed. 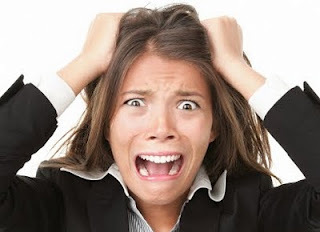 When the assistant, Mr. Berryman went to open the office in the morning he found poor Guptill lying in a pool of blood with a bloody axe lying near. EEEoouuu! The San Francisco Call reported on October 20 that the physicians did not expect him to survive. Oddly, he had taken in a large amount of money the previous day in ticket sales for the outgoing vessel, but the money was all there intact. Hence, no robbery. Now oddly there are records of him dying in 1937, 1952 and 1964 in Washington (all of which born in 1874). Which is it? 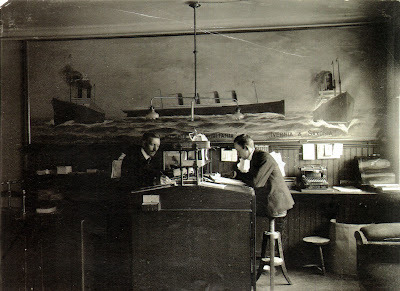 A typical steamship office in 1910 is seen above. I will go now and check the newspaper archive to see if I can find out more about this new murder. UPDATE: I checked the local paper for October and November 1911 and found that miraculously Mr. Guptill survived the attack, albeit with a fractured skull. The doctors decided not to operate and remove the bits of skull and just let him rest and recover. Perhaps that is why he survived. His brother, L.L. Guptill from Victoria came to take care of him. The police rounded up the usual suspects including the assistant Berryman, but later released them all, as they all had alibis. I read several weeks ahead and it appeared that they never solved the case. So it appeared as though Mr. Guptill lived on, probably one of those that died later in Washington. HUZZAH! Although I do not have the specifics on the murder in 1911, what we do know is that two native Tlingit men were arrested and sent to San Quentin. Thomas Jacob Phillips born on this day, March 21, 1890 in Killisnoo Alaska and “Skookum Joe” Wright born 1867 in Dyea were accused of the murder. According to a report in 1994 done for the Department of Interior and the Department of Agriculture by the Institute of Economic Research, University of Alaska Anchorage, Gorsuch, Colt, Smythe and Garber authors, the two Native men were falsely accused and imprisoned. On page 13 of this paper, according to Salvation Army records, Joe Wright was “converted” around the turn of the century while he was working as a packer on the pass. After the trial, he was sent to San Quentin and there, he was recruited by the Salvation Army. 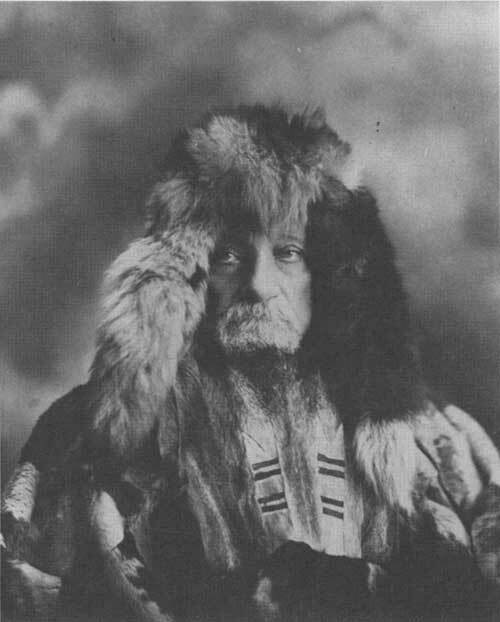 He was released in 1912, returned to Haines and started the Salvation Army Church there. He started the Salvation Army band then and he continued to proselytize in Haines and Klukwan until his death. Tom Phillips, the other man accused of murder and sent to San Quentin went on to serve in World War 1. He died in 1941 in Sitka and is buried in the Sitka National Cemetery there. 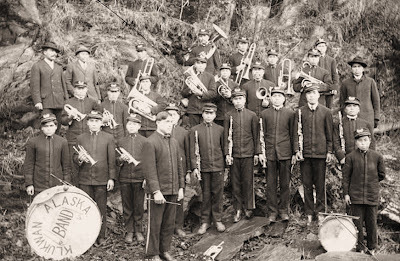 Seen above is the Salvation Army band of Klukwan, although I do not have a date, my guess is that Joe Wright is pictured in it. Orpha Stockard was born in 1897 in Bois D’Arc, Missouri. She was somehow related to Virginia Alice Cottey who founded in 1884, the Cottey College for women in Nevada, Missouri. The College is currently owned and supported by the P.E.O. Sisterhood, a philanthropic women’s organization. Orpha followed in the footsteps of Virginia and became a teacher and taught here in Skagway in 1920 through at least 1929. Orpha later acquired her doctorate and was president of Cottey College and wrote several books on education. Seen above in 1940, she looks very prim. Orpha died on July 7, 1985 in Nevada, Missouri. Presumably that is Mr. Worick standing to the left, slightly out of focus, no doubt ready to run to his next deal…..say, that house on the river for $375 sure sounds tempting…. John H. Worick was born February 18, 1846 in Stephenson, Illinois to a big family, he was one of 13 children. He stayed in Dyea into 1899 and then must have returned to the mid-west where he died January 25, 1911 in Greenleaf, Kansas. On this day, March 14, 1898 Frank Clement of Hillsboro, Oregon was shot and killed at Sheep Camp, on the Chilkoot Trail by Colby Gottlieb Schneider of Howard County Maryland. It was reported that a lynching was averted by the actions of the officers involved and that the prisoner was in custody. There was no other information on this case but a Gottleb Schneider died in Oregon in 1937.